Dinton Pastures is close to the M4/A329M junction to the east of Reading. 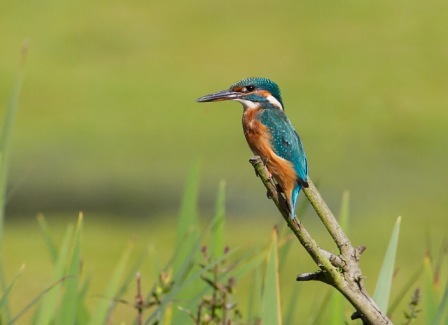 Car parks are found on Sandford Lane, opposite the Dinton Activity Centre and at the Country Park centre, off the B3030 in Winnersh (see Wokingham District Council for arrangements for opening hours and charges). 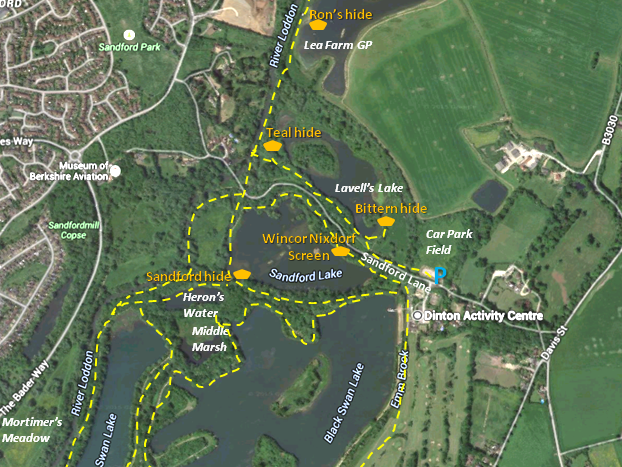 To visit Lavell’s Lake and Lea Farm, the Sandford Lane car park is the more convenient. 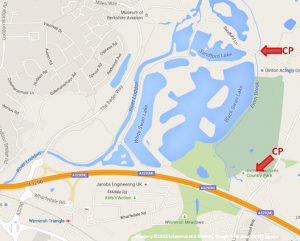 There is cycle access from Reading along the Wokingham Road and on to a riverside path at Loddon Bridge. 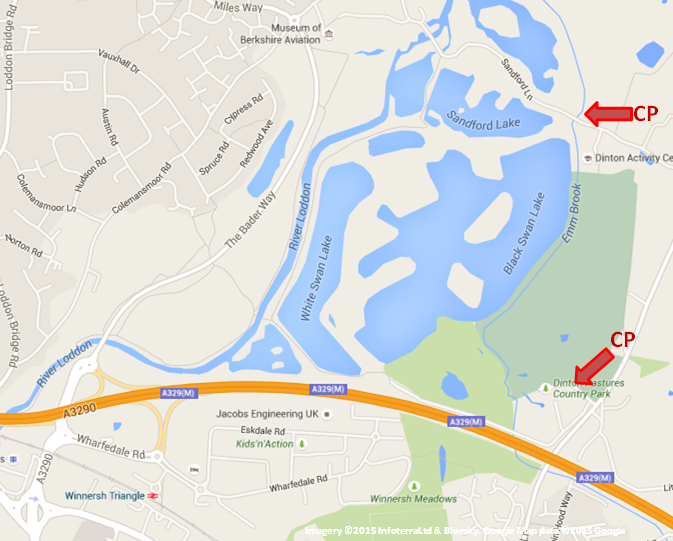 There are bus services to the Winnersh entrance of the country park – see for details. There are no bus services along Sandford Lane. The nearest railway stations are Winnersh and Winnersh Triangle.